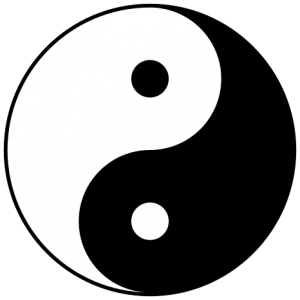 Tai Qi, symbol of the principle YIN / YANG perfectly expresses the alternation, the transformation of the one in the other, the mutation and the antagonism Yin / Yang. In climatology this principle of complementarity and alternation is perfectly illustrated by the alternation of seasons, heat Yang (summer) and cold Yin (winter). Spring is Yang in Yin, autumn Yin in Yang. All information that comes from outside or even from inside will go to our information bank which is our body. And, all this moves continuously a little like our breathing (by inspiration and expiration). Because YIN and YANG energy is the accumulation of information that is the clean quality of our energy. We must revitalize our cells because they weaken and lose their essential functions because of the many disruptions we experience every day. The more sick cells we have in your body, the more likely we are to get sick. So, we have to revitalize our cells that are sick or weak to eliminate them through YANG energy, which goes from the inside to the outside. Energy could be compared with the money you have in the bank: If you put your money in a savings account and you have to do important work for your house that has been damaged and you have to use it for the to repair. You will then put this money in a current account to withdraw this money. At every moment, you store information in your YIN energy bank, in your resources. And, every moment, you're sending that energy back to revitalize all the cells that are not working well or to eliminate the cells that are sick. You can not keep cells in your body that are weak or dead because you have to eliminate them. If you are unable to do so, you may have disruptions or diseases that will develop. The whole principle of energy is to restore the information in the cells so that they can provide their functions again which are essential for the whole organism. Other methods, such as kinesiology, measure only YANG energy that goes outside. They are not able to check the YIN energy. And, most of the damage and disorder comes first from resources, from YIN energy. When the resources are not correct, the YANG energy is also incorrect. So we have to restore the YIN energy properly. In particular, we know that the deepest dysfunctions in YIN energy are those that will cause the most problems to our body. All problems related to cancer, neuronal disorders, ... come from our resources, YIN energy and not our management, YANG energy. All medical specialists like to work with computers, scanners, sophisticated devices to measure patients' problems, but there is a problem: computers only measure YANG energy. The classical and modern programs and instruments are very limited and do not give the best results that can be obtained with the help of the ACMOS method because it allows to regulate and repair the YIN energy.